Can enjoying a cup of coffee be part of a healthy lifestyle? Many people rely on coffee for a quick pick-me up or to wake up in the morning. The initial caffeine surge through your body will make you aware, focused, and ready for action but it’s often followed by a caffeine crash. Coffee will pick you up momentarily but will make you sleepy and tired soon after. Drinking coffee throughout the day will keep you going but drinking stimulants like coffee in excess can also be an express road to adrenal burn-out. Whether coffee is healthy for you highly depends on the amount of coffee you drink and, very importantly, your choice of coffee. I believe coffee can be part of a healthy lifestyle. This may sound strange coming from a health coach who helps people detox from coffee but I do believe that coffee, or anything else for that matter, is not a problem for your health when used in moderation. However, if you need eight cups of coffee to simply get through your day, it’s a whole different story. Read 12 my tips below on how to embrace healthy coffee drinking habits. Enjoy high-quality coffee, unadultared, preferably organic and made with fresh-roasted beans. Drink your coffee coffee black and skip sugar-laden concoctions like frappucinos, flavoured lattes or anything with so-called ‘whipped cream’. Take your time while enjoying your cup coffee. Sit down, be present, smell, taste and enjoy it! Don’t drink your coffee on-the-go walking around town, riding your bike or driving your car. Sit down to enjoy it! Avoid convenience coffee from machines at work, instant coffee or convenience coffee makers, like Nespresso, Senseo or Nescafé. I am sorry you Nespresso lovers out there but Nespresso is many things but it is not coffee. Know your limit and understand that each day your limit is going to be different. For most people, it is recommended to limit coffee intake to 1 or 2 cups per day but if you feel tired or stressed it’s best to avoid coffee altogether. Drink coffee only when you feel well-rested and relaxed and avoid it completely when you feel exhausted or stressed. When you feel tired or stressed, coffee will only make it worse, because caffeine causes the adrenal glands to release adrenaline. The overall effect of adrenaline is to prepare the body for the ‘fight or flight’ response in times of stress. It prepares your body for sudden action and puts your body under a high level of stress. If this happens more frequently and if you are already feeling depleted and under a lot of stress, this can exhaust your adrenals and lead to burnout. Stay away from coffee for at least 6 hours before bed time as it negatively affects the quality of your sleep and, as such, your body’s ability to rejuvenate and repair itself. Drink a glass of water before enjoying your cup of joe. Ever noticed you need to run to the toilet more often when drinking coffee? Coffee is both a laxative and a diuretic, which can contribute to dehydration and reduced blood flow to your brain. This can negatively affect cognitive function. So to keep your wits about you, make sure to replenish your body with water before or after drinking a cup of coffee. Get rid of your coffee machine and start to home brew. Slowing the down the process of making your cup of coffee will help you appreciate your cup of joe more. Experiment with manually roasting your own beans and slow coffee methods like drip-filter, pourover, French press or Aeropress. Boost your good coffee karma by buying coffee from local, sustainable roasters. Avoid chlorine bleached filters, cheap commercially roasted coffees or chemically-processed blends like Nespresso and Senseo . Buy your coffee at high-quality coffee places that roast their beans locally or use fresh beans from sustainable roasters. Be aware of signs of coffee addiction. Do you feel irritable, restless, nervous, depressed or sleepy? Do you get a caffeine headache when you are without coffee? Do you ‘need’ coffee to wake up or keep you going throughout your day? Does coffee give you the shakes (involuntary muscle spams or trembling hands)? Do you suffer from heart palpitations? Are you suffering from lack of sleep? If you recognize yourself in any of the above, it’s time to reduce your coffee intake. Don’t go cold turkey but give your body time to adjust by reducing your coffee intake slowly. 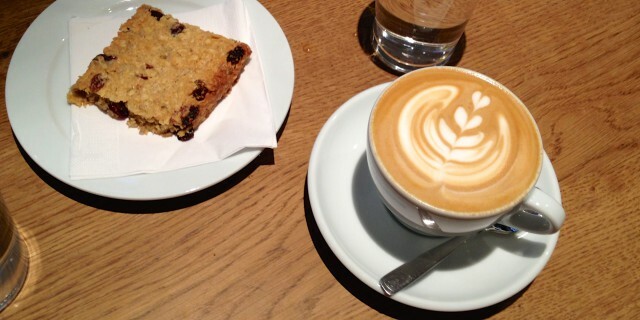 Where to find a good cup of coffee in Amsterdam?